One of Perth’s greatest charms is the wonderful weather we are blessed to have all year round. Our summers are particularly epic with the sunshine and great outdoorsy activities we have to offer. Please ignore all those people who say “Perth is boring,” because they simply do not know where to look. There are so many things to do around town and we’re making it even easier for you by compiling a list of water activities. This may seem obvious to some, but Western Australia has some of the best beaches in the world. Why not make use of them? Not enough people realise or appreciate how lucky we are! 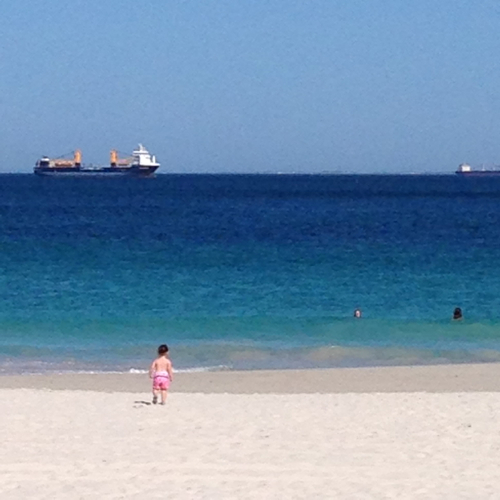 If you want to stick to the beaches around Perth, you won’t drive longer than an hour without finding one. Make your way to West Coast Highway and check out the fantastic scenic route. With plenty of cafes and different beaches along the way, you just need to find a parking spot (we will admit, this can be quite difficult on the weekend or school holidays)! The best part of it is the beach is completely free. Bring a soccer ball, cricket bat or even frisbee and get the kids running around to their hearts content. Not only are you getting them away from the television, but you are teaching them to enjoy an active lifestyle. Pack a book for yourself so you can relax while they play nearby. If you are worried about the tide and or large waves, there are plenty of beaches with crystal clear waters and little to no swell. We can name drop a few like Coogee Beach, Leighton Beach, Rockingham Beach and Busselton if you are interested in driving for a few hours. There is always a fitness or aquatic centre in every suburb. Why don’t you check out your local? If you’re looking for something fun to do with the kids one Saturday afternoon, go to the pools. It’s not very expensive and the kids will have fun jumping in the water. If you go during school holidays the centre often provides water activities within the pool area which will excite the kids even more! If you’re lucky most places have a spa for adults, so you can relax in there while keeping a close eye on the young ones. Swimming is one of the healthiest exercises around keeping the heart rate up which benefits the whole body and kids love it! The new fabulous addition to hit Perth City, an interactive water feature located right opposite Elizabeth Quay train station (formerly known as the Esplanade station) and the best part it’s FREE! The BHP Billiton water park is absolutely irresistible to kids, every 15 minutes the water starts flowing and splashing. Parents Don’t worry about being caught in the middle of the Water Park when it commences its cycle – the water feature starts subtlety with the 3 outer islands slowly filling with a puddle of water. All around the water park are timber decking that provides informal seating for the whole family. So why not make a day of it, catch the train with the whole family, but be warned your kids will get wet! 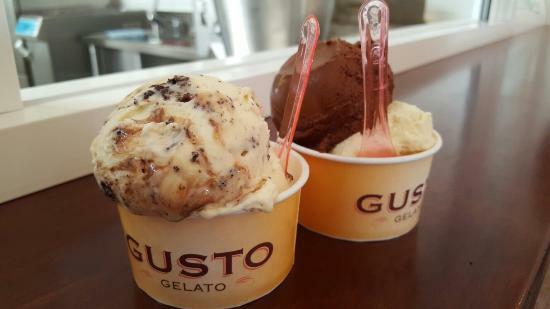 We would also suggest treating the kids (and yourselves) with a delicious ice cream cone from Gusto Gelato. If you don’t want to head that far down and try to avoid all the crowds on a hot summer day,you don’t have to. Head over to Perth City in Forrest chase and experience The Water Labyrinth which runs from 10am-6pm daily. Right in front of the water labyrinth is a cafe so Mum and Dad can sit down and enjoy a nice iced coffee to cool off and the kids can run around in the water. It’s been a long day, it’s hot, the kids are tired but they won’t admit it. You are still waiting in line at the local water park so you and your kid can enjoy 30 seconds of the mediocre water slide. You are thinking to yourself you wish there was a way to avoid the crowds! This is possible! Ever thought about creating your very own water playground? Think about it, you can set it up anywhere (as long as you have enough space) and it’s completely private, just for you and your family to enjoy! It’s almost too good to be true, but we are a reliable source so you can trust us. At this point you’re thinking ‘what are they on about,’ well we are talking about a pop up inflatable water park. This is very real and very possible. A few things to consider before you can make this happen. Location, Location, Perth has so many beautiful parks to offer, so go ahead and choose one. Once you have your location sourced contact the local council and seek permission to set up your inflatables. You will need to ask them for permission to drive onto the oval and to use their power and water sources for the duration of your event. Once you have that sorted, the most important thing to do is pick your inflatable water slides! Monsterball Amusements offer a wide range of water slides and obstacle courses to make your pop up park dream come true! All you need to do is check the website, there is something for everyone and every budget. Choose your slides, call the office and book it in. Let the countdown begin!